On Monday, October 1, 2018, Jennifer Rothman, Professor of Law and the Joseph Scott Fellow at Loyola Law School, Los Angeles, will visit campus to talk about her new book, The Right of Publicity: Privacy Reimagined for a Public World. Who controls how one’s identity is used by others? This legal question, centuries old, demands greater scrutiny in the Internet age. Jennifer Rothman uses the right of publicity—a little-known law, often wielded by celebrities—to answer that question, not just for the famous but for everyone. 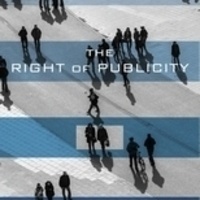 In challenging the conventional story of the right of publicity’s emergence, development, and justifications, Rothman shows how it transformed people into intellectual property, leading to a bizarre world in which you can lose ownership of your own identity. This shift and the right’s subsequent expansion undermine individual liberty and privacy, restrict free speech and suppress artistic works. Co-sponsored by Northeastern University School of Law’s Center for Law, Innovation and Creativity (CLIC) and Northeastern University’s School of Journalism in the College of Arts, Media and Design.